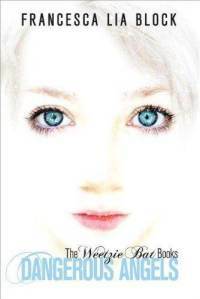 Here are a few fun young adult titles that are currently free for your e-reader. Some include bonus materials, usually a sneak peek at the author’s upcoming title. Please don’t forget to check the final price before you one-click, and if you are interested in any of these, act quickly before they’re gone! I also just wanted to say a quick but very sincere thank you to the many people who have written to me privately as well as publicly with messages of support over the unpleasant business that happened last week. I think it’s very unfortunate that these sorts of meltdowns keep happening in the YA community, particularly because it takes so much of the focus off the pleasure of talking about books. I haven’t felt much like blogging or reviewing or tweeting lately because of that, but I’m slowly working my way back thanks in no small part to the giant silver lining which consists of my readers and my friends. Thank you for this post! 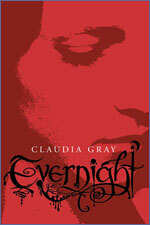 I just ordered Evernight through the library, so this is perfect timing. I own the last book and it’s been sitting on my shelf for far too long. It’s time to decide whether or not I’m ever going to even want to get to it. *HUGS* to you for all you’ve been through this past week! I know it’s so hard to write when something like that happens. Please remember all of the good you do and how many people, myself included, who value you and your reviews. You are an asset to the community. Thank you so much, Small Review. I really appreciate the hug and the words of encouragement; it’s hard not to let this stuff get you down, but the support of friends has really helped. I actually spotted the Dangerous Angels freebie on my own (Sony store) and downloaded ASAP. Definitely worth a re-read! Thank you for posting this list, I can’t tell you how much time I end up trolling the kindle store and never find such gems. Props! Thank you for the info. I grabbed Zombies Son’t Cry. To be able to express your opinion on a book and share it with your friends and community in such a simple way is one of the things I love about Goodreads. I especially look forward to reading your reviews. I believe you take the time to legitimately give a critique, whether it is positive or negative. Keep up the great work and don’t let those authors keep you down! thanks for the heads up. i really want to read cloaked. Ooh Zombies! I may grab that for a Zombie event next month! (that,s right! 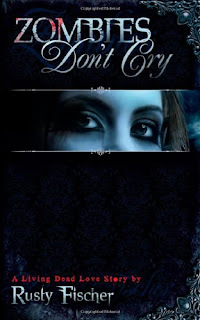 :D) And Bound I didn’t like it much and don’t really recommend it – Wendy I’m positive you’ll hate it haha. But the others I’ll have to check out. Thanks Wendy for doing all you do. And for remaining strong and staying true to yourself and not backing down. Keep at it. Your reviews would be deeply missed in the blogging/Goodreads community. Thanks so much, Kara. :) I so appreciate all of your support throughout all of this. I’m so glad we became friends! I love freebies! I’m going to have to go check these out! Thanks for the headsup! Thank you for all those deals! And Wendy? Don’t ever let anybody else stop you from blogging. You’re one of the best reviewers I know- few people are as articulate as you, as careful to avoid making personal jabs at the authors. You’re a model reviewer, Wendy, and it’s just too bad that the people who targeted you don’t see that. Thank you, my wonderful friend. I try really hard to be fair and I’m glad it shows–at least to the unbiased, hah! I appreciate the hug,too. :) It’s nice to have friends who can help get you through this stuff. Thank you for sharing all of these wonderful deals. It’s too bad that Nook doesn’t always have the same deals as Kindle, but I do have the kindle apps on my PC and phone. Glad that yo are making your way back. You know that all of your readers love and support you. I think what people forget is, not everyone will like every book they read. To not review a book because you didn’t enjoy it is like lying to yourself. Authors and agents need to learn to take it. If they were being honest with themselves, they would admit they haven’t liked every book they’ve read, and I am sure they didn’t keep it to themselves. Ok, enough blabbing lol! Thanks so much, Amy. I really wonder about authors and agents who behave this way, too, but I agree–both negative and positive reviews are needed. And I say that first and foremost as a reader! I haven’t commented or anything thus far on the garbage that went down, but I did keep up with it, and I’m sorry that it happened. Thanks so much, April. I really appreciate that. And hope you get a Kindle soon! Don’t forget you can always download the books now with a free Kindle reading app, though, to read on your computer or save until you get your device. Also, Wendy… I just partially caught up on the drama that has been going on. Wow. You’ve had your hands full. I totally back you though, and anyone else who wants to express their feeling on a book. Good or bad. I continue to be amazed at how professionals conduct themselves anymore. It honestly saddens me. Thanks so much, Christy. I think it’s pretty sad too, but hopefully the worst of these meltdowns is behind us. Wendy, you list the best freebies ever. With so many free books to choose from you find the creme of the crop. Thank you for that. Also, I don’t know what went on but I’m glad you’re back. Whenever I see drama or conflicts on GR I tend to turn a blind eye. I have enough bs in real life and I would hate to get on GR to be angry because its my way to unwind. Thanks Sashana. And really, it’s for the best that you weren’t aware of the drama…hopefully it’s blown over for the most part. I am a newbie follower and have thoroughly enjoyed reading all of your – I truly appreciate the amount of work and honesty that you have put into them. I’m not sure as to what has happened recently, but do hope that you will continue to do what you have been doing. Thank you for the list of freebies–you had a couple I had missed! Yay! As to the controversy, I know I appreciate bad reviews that are well articulated and well thought out as I do good reviews. In fact, if the poor review is well done it usually gives me more information about a book than a good review. I don’t have time to read every book out there, but for my job it is important for me to see the multiple facets of novels that I consider purchasing for my library. And before anyone says anything, I purchase books all the time that get poor reviews, because I know teens who will like and read even those books that received poor review scores. I guess what I am trying to say is that I value honesty from the reviewers I follow, I don’t care if I agree with your review or disagree with your review, what is important to me is that you made me consider aspects of the work that others reviewers didn’t. The fact you didn’t finish the novel and admitted it and the explained why really helps me. I am sorry for what you have been through, but if it makes you feel better, you honesty, insight, and integrity have gained you a new follower. Sorry, if that came out a bit jumbled–typing on my iPod isn’t easy, and it seems to be acting a bit funky this evening. I had no idea that was going on. All I can say is I am sorry that happened. We reviewers have to stick together. Rest assured you have lots and lots of support. Hugs. I feel bad I didn’t know sooner. Just been up to my eyeballs. If you ever go through this again and need my help in anyway, Let me know! Yeah, it’s been a bit of a zoo over the past week. Thanks for your hugs and comments, Heidi, they are very much appreciated. Until I stumbled across Maggie Stiefvater’s blog yesterday I didn’t even know any of these conversations had taken place. After clicking a few links I recognized you as one of those conversing. I didn’t read through all of it. It didn’t take long to which was the wrong side of the fence. All I want to say to you is that you gave me one of my warmest welcomes on here, and you consistently give me honest and objective reviews on books. As a reader there is nothing that I value more than someone’s fair and balanced opinion on a book they have read. The worst thing I have encountered since starting my blog are the five star reviews after five star reviews. It’s refreshing to hear a voice out there that thinks critically about what they’re reading, owns their own voice and presents things honestly. Keep on doing what you do :) We appreciate you! Thank you so much, Ashley. I’ve actually been surprised at some of the blogger reactions to this incident, as if this couldn’t have happened to anyone, but I’m happy that the majority of the responses have been supportive ones like yours. I appreciate your taking the time to comment! Thanks for posting these, Wendy! I love a great find. I read your comments in the PW article. Your words and actions speak well for your fellow bloggers. Can’t wait to see you back at reviewing! Thanks Andrea. It’s an issue that affects just about everyone who writes non-paid reviews, so I’m hopeful that another major publication writing about it will help curb these meltdowns. Appreciate your commenting. very cool! cloaked looks great! Nice feature! Keep up the good work. I’m glad you enjoy it, Dawn! They take a little bit of hunting down, but it’s worth it when so many people can take advantage of them. You’re welcome. :) Freebies are always a good thing! I think that you handled the whole thing with much more grace than I would have and I have a ton of respect for you. You made me tear up a little bit with that comment, Donna. Thank you so much for your virtual hugs, they mean more to me than you could possibly imagine. I’m glad you’re not letting these unfortunate events keep you down (or away). I love reading your reviews and seeing your commentary on books, and I’ve never found you to be unkind. I appreciate your honesty and, quite honestly, find it refreshing that you don’t gush over every single book you read. I hope that you won’t let a few bad apples deter you from doing something that you obviously enjoy very much. Thanks so much, Jen. I tend to trust reviewers who post critical reviews as well as glowing ones, so I try to be as honest as I can. I appreciate your support. I hope it doesn’t happen to *anyone* in the future, Elena! It’s unacceptable and absolutely avoidable. Thanks for your kind wishes. Thanks Joy. It’s been a nutty week for sure. I just read the PW article. Well done, you! :) Now, let’s go back to reading, eh?